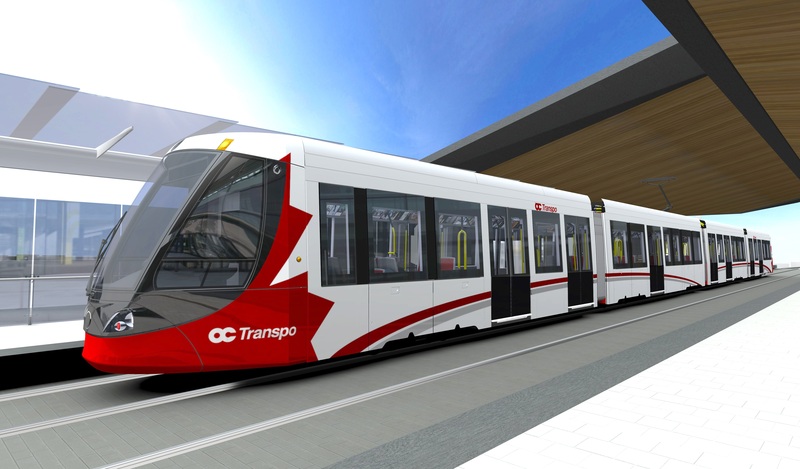 On June 3, the Province of Ontario announced an investment of $1 billion towards the City’s Stage 2 LRT initiative, plus 50 per cent of the cost associated with extending the O-Train system to the airport and from Place d’Orléans to Trim. This is a total investment of $1.16 billion. This is an historic vote of confidence in the future of the City of Ottawa. This is also the single largest one-time infrastructure investment by the Province of Ontario in the economic transformation of our city. My stated goal as Mayor of the City of Ottawa, working with my Council colleagues, is to ensure that we continue to expand our LRT system to meet the needs of our residents – we don’t want to put shovels away in 2018 once the Confederation Line is complete. With the Province’s support, we can keep building on this momentum as we work to extend LRT farther west to Bayshore and Algonquin College, even farther east to Trim, and farther south to Riverside South and to the Ottawa Airport. The Province’s investment strengthens our ability to deliver a reliable, world-class, environmentally sustainable LRT system. By reducing traffic congestion and better connecting our city, this project will support our region’s economic success – boosting Ottawa’s competitive edge and the ability of local firms to compete with the world, while welcoming a greater number of visitors from around the globe with a modern light rail system that will enhance the visitor experience in our magnificent city. Stage 2 will see us further expand Ottawa’s O-Train network to a system with more than 50 kilometres of rail. The reach of this investment will bring 70 per cent of the city’s population to within five kilometres of a station by 2023. This is a game-changer for Ottawa – for our local economy, for our environment, for spurring smart growth, and for our quality of life. It will provide fast, comfortable and convenient connections between our residential areas, our largest employment areas, major retail outlets, and key cultural and recreational destinations. It will also support our efforts to build an education and innovation powerhouse, anchored by our four post-secondary institutions – the University of Ottawa, Carleton University, Algonquin College and La Cité Collégiale. As for improving the quality of life for our Ottawa residents – we know an hour spent in gridlock is an hour away from family and other much more productive endeavours. Stage 2 will take more than 10,000 cars off the road, it will dramatically reduce the number of buses on our streets and roads, and will help fight gridlock in our fast-growing city. The system will integrate stations into the urban fabric of our neighbourhoods and will improve walking and cycling, as well as providing a transit system that is accessible to all. Friday’s funding announcement symbolizes the progress we have made as a city. I am very proud that Council unanimously carried the proposal to build the Confederation Line, followed by the unanimous decision to build Stage2. Without that teamwork, we would not be here today. I am also proud of the tremendous support we have received from the people of Ottawa since launching our proposal to bring LRT to Ottawa and to build it with a downtown tunnel. Demand for LRT is growing across our city as residents seek a sustainable alternative to the worsening gridlock. Ottawa used to be the laughing stock of the province after north-south rail was cancelled. That is no longer the case. We are moving forward with a bold plan with the unwavering support of the Province of Ontario. In the coming months, we will work with the Government of Canada to secure their contribution to Stage 2 LRT as well. My commitment to the residents of Ottawa is to stay the course and pull out all the stops to see this vision through. The Province’s funding commitment is a very important stop en route to our goal of building a world-class transit system for the residents of Ottawa.